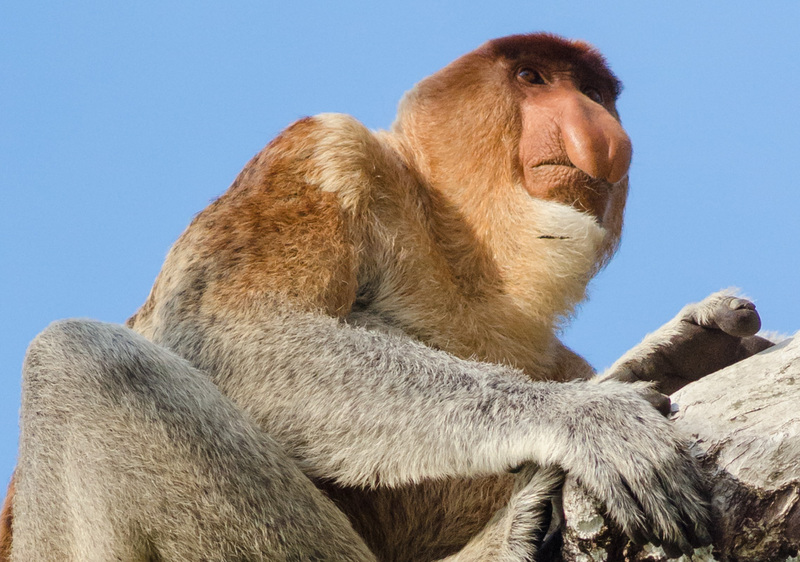 One of the reasons we traveled all the way to Borneo was to see the Proboscis Monkey, also known as the long-nosed monkey. To see these monkeys we had to travel to the Bako National Park, which is only accessible by boat. We spent 3 days at the park and saw them on several occasions. Their noses are very unique and reminded us of the legendary American singer and actor, Jimmy Durante. They made a strange noise that reminded us of Stephen Spielberg’s ET character. Travis is going to be so jealous, we’ve only seen Proboscis Monkeys in zoos, never the wild and he would LOVE to visit Borneo one day for this exact reason 🙂 Great shot!